What’s Happening with Vermont Yankee? Vermont Yankee, the only nuclear reactor in Vermont, is a boiling water reactor that began operating in 1972 under a 40-year operating license. Today it’s owned by Entergy Corp and produces about 600 megawatts of power. Yankee’s operating license expires March 21 of this year. The dispute over whether Yankee should continue operating highlights what some people see as an infringement of a state’s right to protect its citizens. Congress gave the federal Nuclear Regulatory Commission (NRC) the authority to grant operating licenses to nuclear reactors. As part of this, it gave the authority over issues related to radiological safety to the NRC, rather than the states. (3) a water-quality certificate under the federal Clean Water Act. (1) In March 2011 the NRC granted the plant a 20-year license extension. In 2006 the Vermont legislature passed a law—Act 160—that allowed the legislature to prevent the Public Service Board from issuing a CPG, and the Senate voted in February 2010 to block Yankee from getting the certificate. However, this month a US District Judge held that Act 160 was unconstitutional, saying that it was clear from the debate that the law was motivated by safety concerns, which are preempted by the federal government and therefore outside the state’s jurisdiction. This does not mean that Yankee can now operate—instead it sends the issue back to the Public Service Board to decide whether to grant a CPG. That decision can be based on a range of issues, including economics, land use, and trustworthiness of the plant’s owner, but not radiological safety. In the meantime, the Vermont Attorney General has 30 days to decide whether to appeal the judge’s decision. 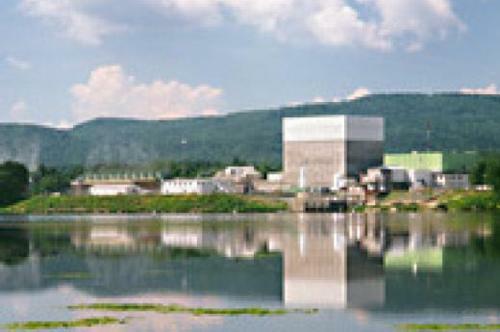 (3) The water quality issue arises from the fact that the plant discharges hot water used to cool the reactor into the Connecticut River during part of the year. Vermont has the authority to enforce federal water protection rules, and Vermont’s Agency of Natural Resources is apparently still looking into this issue. But in the meantime Vermont’s Department of Public Service and the New England Coalition have gone to court to nullify NRC’s license extension. They argue that the plant did not apply for a Clean Water Act permit as part of its relicensing, and therefore the NRC should not have granted the license extension. This issue was brought to court in June and has yet to be decided. The plant could avoid the issue of releasing hot water by using its cooling towers year-round, but argues that this would be too expensive—a contention experts dismiss. For an interview about Vermont Yankee with former NRC Commissioner Peter Bradford, go to part 2 of this post.